Limit 1 per person. Valid on a no-chip manicure. New clients only. By appointment only; cancellations require 24-hour notice. Promotional value expires 30 days after purchase. 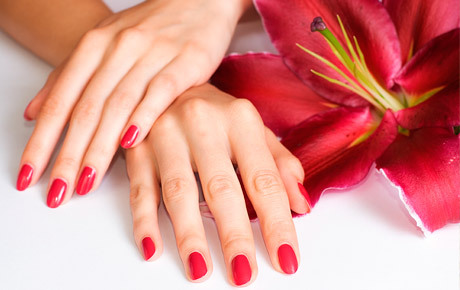 Make a statement this Independence Day with 51% off a no-chip manicure at Areté Salon and Spa in Palatine ($35 value). This shiny, natural looking manicure will last through two weeks of swimming, sun and fun. Barb, owner of Areté, has been in the beauty business for more than 30 years, and she recently opened her own salon to better serve her beloved clientele. Their extensive list of services helps clients take care of all their beauty needs in one spot, from extensions and coloring services to pedicures and threading. The experienced stylists and skincare experts use top-of-the-line beauty products, helping you look and feel your best. Nail your summer look with this colorful deal.